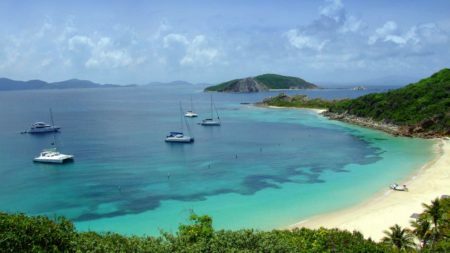 With a tropical climate yet cooling trade winds makes the BVIs perfect for sailing, island hopping and messing around on the water. 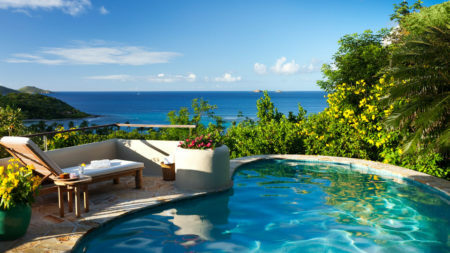 Absolute seclusion is possible here so the BVIs are perfect if you like to avoid the crowds. 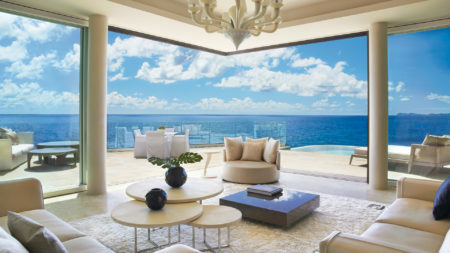 The 60 islands are laid-back and low key with an air of exclusivity: A-listers and jet-setters can be found at the luxury spas and bustling bars. Tortola enjoys a maritime tropical climate with high temperatures year round, cooled by trade winds. Rainfall levels are quite low for a tropical location though there are pronounced wet and dry seasons. The BVIs split the Caribbean Sea from the Atlantic Ocean and this position puts them in the Atlantic hurricane belt. Hurricane season lasts from June till November and the risk peaks in October and November. During the dry season the average high temperature wavers between 28°C and 29°C. The lower humidity of the dry season and the cooling northeast trade winds prevent the heat from becoming oppressive. Sunshine levels increase to eight hours per day at the start of the season and get up to nine in March, April and July. Rainfall is low for the period though as this is a tropical location the odd shower is bound to break every few days. May usually sees a heavier rain than the surrounding dry months and is as wet as the beginning and end of the wet season. The sea temperature does not usually fall below 29°C.